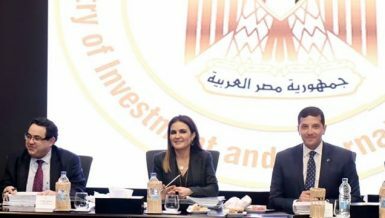 The Egyptian government aims to transform Egypt into a hub for energy trade between Europe, Arab, and African countries. The Ministry of Electricity has developed a plan that includes many investment opportunities in the energy sector in all its fields, including the production of new and renewable energy, electrical interconnection, and water pumping and storage projects to produce electricity. 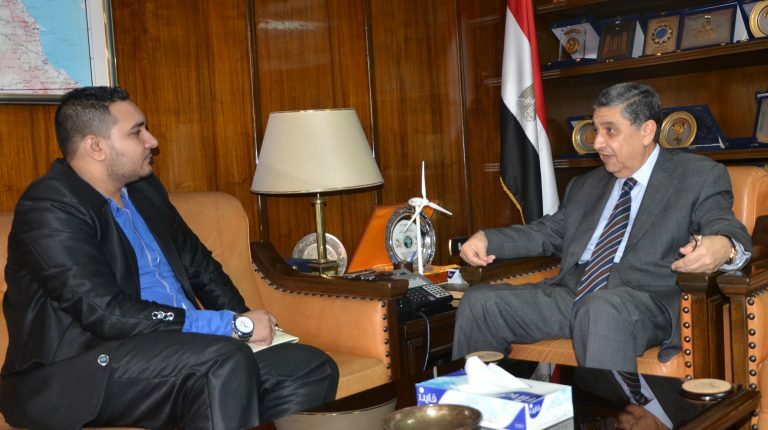 Mohamed Shaker, minister of electricity and renewable energy, told Daily News Egypt in an interview the details of the ministry’s strategy for electricity interconnection projects for Egypt with the countries of the world, and the ministry’s preparations for exporting surplus electricity production to neighbouring countries. What is the benefit of electrical connection projects? The economic benefits of electrical connection projects include saving the costs of fuel consumed in power plants, benefiting from peak times, and achieving financial returns for the countries through which the lines pass. Environmental benefits include reducing emissions, using all sustainable energy sources, while technical benefits include reducing fixed and rotary reserve ratios for emergencies and facilitating the diversification of energy sources. The electrical interconnection project of the Arab Maghreb countries aims to connect the electrical networks in Libya, Tunisia, Algeria, Morocco, and Egypt with 200 kV and 400 kV lines. The operation of the electricity network between Tunisia, Algeria, Morocco, and Spain has been active since 1997. As the link between Tunisia and Libya concludes, the European network will be also linked through Spain and Morocco. How much power is exchanged with Jordan? 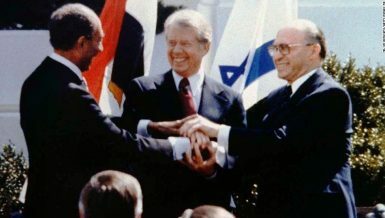 The Egyptian-Jordanian electrical connection is a beginning to connect with the Arab Mashreq countries, including Syria and Lebanon. 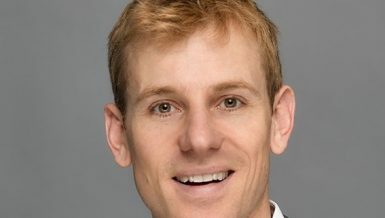 This is the first project that will be implemented to connect the electricity networks through ultra-high-voltage (UHV) transmissions. Egypt and Jordan have medium-voltage lines of 400 kV, with a capacity of 450 MW. 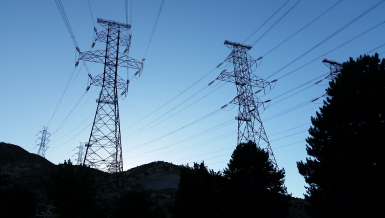 In October, it was agreed to form a specialised technical committee to update studies to enhance the Egyptian-Jordanian electricity connection and increase the mutual capacity between the two parties to reach 2,000 MW. The exchange of energy with Syria is by connecting with Jordan, through the exchange of 150 MW outside peak times of the total 450 MW passing through Jordan. What are the latest developments on the electric interconnection project with Saudi Arabia? 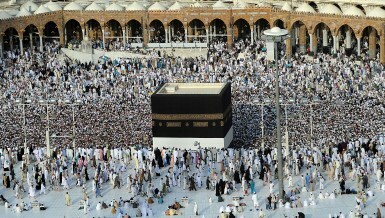 The electrical connection project with Saudi Arabia is being processed, at an investment cost of $1.56bn. Egypt’s share is $626m. The pilot operation of the project will start in April 2021, while full operation by April 2022. 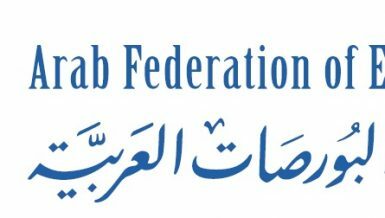 The opening of the financial offers for the tender of the Badr-Madinah-Tabuk conversion stations will take place in March and contracts will be signed in April. Has there been a study to connect with African countries? 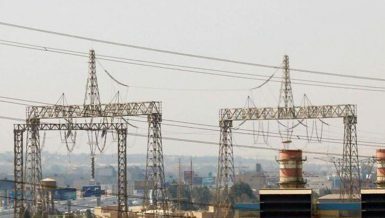 There is a project for interconnection between Congo, Egypt, Nigeria, Zambia, and Angola, which is of interest to the Congolese side as Egypt is an electrical centre with the ability to export the energy generated from the project to European countries. 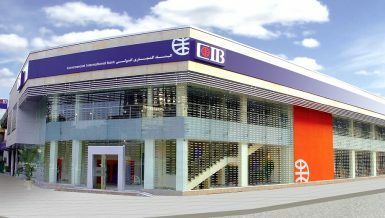 A study was conducted to determine the total cost of implementation and the transfer of energy to be presented to financial institutions. The study is expected to be completed this year, especially since the last update of the study was in September 2013. The project linking Egypt and the Democratic Republic of Congo includes a feasibility study for the exploitation of hydropower from the Inga dams and linking it to the city of Aswan for the two countries to be able to export about 49,000 MW of power. The capacity can be transferred via routes in Central Africa, Chad, and Sudan to Egypt at a distance of 5,300 kilometres and at a cost of 3.72 to 3.94 US cents per kWh, as estimated when the study was conducted. What are the latest developments on the green energy corridor project in Africa? 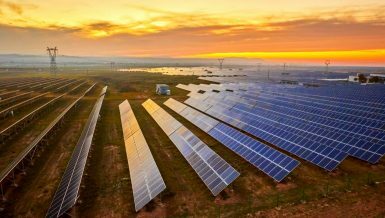 The International Renewable Energy Agency (IRENA) has prepared a study on the green energy corridor project in Africa, which includes the implementation of projects for the exploitation of new and renewable energy in African countries and linking projects through the electrical grid to exchange energy produced through them. How can Egypt be a centre for energy trading? 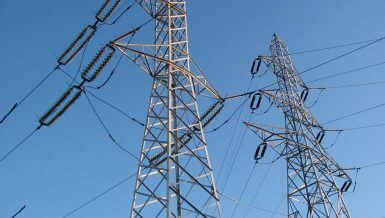 The Egyptian Electricity Holding Company (EEHC) signed a memorandum of understanding with Cyprus’ EuroAfrica Interconnector to conduct a technical and economic feasibility study in the field of electrical interconnection between Egypt, Greece, and Cyprus. There is potential for exchanging up to 3,000 MW through this project. 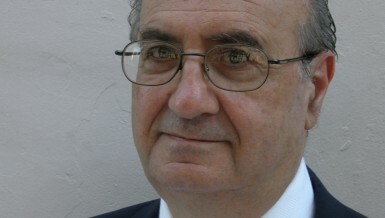 The ministry also signed a memorandum of understanding with the Global Energy Interconnection Development and Cooperation Organisation (GEIDCO) to promote the concept of international electrical connection of energy in Egypt and Arab countries based on the technology of direct current, telecommunications, and renewable energy. The completion of the interconnection projects referred to will make Egypt a central hub for electrical connectivity in the region. The idea of electrical interconnection is based intercontinental UHV through direct and alternating currents (AC and DC) and smart grid technology to provide electricity transmission and distribution services of different voltages from new and renewable power plants, including solar plants, wind farms, and hydropower. It also relies on global theoretical reserves of renewable energy sources, where 0.05% of clean energy resources are capable of meeting global energy demand. The theoretical reserves of renewable energy worldwide are about 152,000 terrawatt hours (TWh) per year. What are the stages of implementation for the global electricity interconnection project? It will be implemented between 2020 and 2030. The project includes linking grids of neighbouring countries and building strong transmission grids spanning all countries to reach the desired outcome before 2020. The cross-border interconnection projects in each continent will be developed across different types of electric power to improve efficiency. From 2030 to 2040, emphasis will be placed on broad-based development with continuous improvement in interconnected, intercontinental network architecture and the development of renewable energy projects worldwide. This includes interconnection of intercontinental networks and the strengthening of transmission lines for the export of energy between Asia and Europe as well as transmission lines between Asia and North America and between Europe, Africa, South Asia, North, and South America. An agency will be established to coordinate efforts and develop cooperation mechanisms. How did the Ministry of Electricity get out of its electricity insufficiency problem? Measures taken by the electricity sector to overcome the problems of capacity deficit include the implementation of power plants from 2014 to November 2017 with a total capacity of 1,5911 MW, which is seven times more than the capacity generated from the High Dam, at a cost of EGP 197bn. The sector was able to overcome the problems of capacity deficit after completing the implementation of electricity production projects with a total capacity of 4,650 MW, which were executed before 2014, next to the emergency plan projects that output 3,636 MW. The maintenance and upgrading programmes for stations were 100% completed in April 2017 instead of the end of May. Coordination with the Ministry of Petroleum to provide fuel for the stations is ongoing. The ministry contracted with the German company Siemens to build stations with a capacity of 14,400 MW with efficiency that is greater by up to 60%, at a cost of €6bn. How much power is produced from new and renewable power plants? The total capacity connected to the national grid from solar power plants and wind farms amounts to 890 MW. This includes the first solar thermal power station in Koraymat with a capacity of 140 MW, as well as 120 thermal plants and 20 solar plants, in addition to 750 MW from wind farms in Zaafarana. The area of Jebel al-Zayt is witnessing the implementation of wind farms that produce 200 MW. 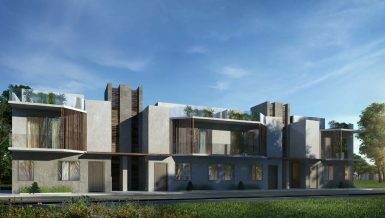 There is also a project to install solar cells with a capacity of 2 MW for residential communities not connected to the electrical network in the governorates of Sohag, Matrouh, Qena, Luxor, and Aswan. When will the solar energy projects in Aswan be operational? 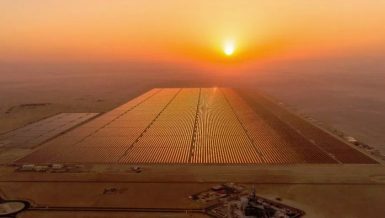 This year will see the implementation of solar power plants in Aswan, as part of the feed-in tariff scheme that will produce 1,500 MW at an investment cost of $2bn, becoming the largest solar park in the Middle East and the world. The studies for the pumping and storage of water for energy production in Ataqa will be completed in June. The project will generate about 2,400 MW via eight units, each of 300 MW capacity. The project will be implemented by Sinohydro at a cost of $2.6bn over seven years. 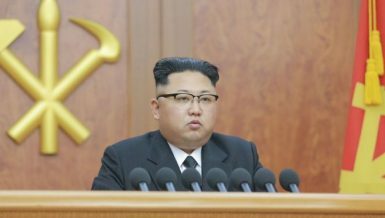 What are the latest developments of the Dabaa nuclear station? Work on the Dabaa Nuclear Power Plant is underway. Russia’s Rosatom will build four reactors with a total capacity of 4,800 MW at a cost of $21.3bn. According to the agreement with the Russian company, the first nuclear reactor will begin production in 2026. The remaining reactors will join production one by one until 2029. The nuclear reactors that will be implemented have all the combinations of nuclear safety systems and have an unprecedented level of protection against internal events and external factors. 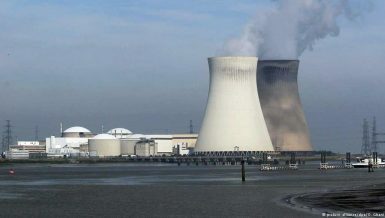 The design of the reactor can bear the collision of a large commercial plane to the outer shell of the station, in addition to earthquakes, floods, storms, snowfalls, and external explosions. Mining the moon: Earth’s back-up plan?